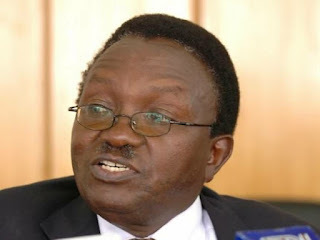 David Mwiraria, Ex-Finance Minister Dies at 79 after a long cancer battle at a Karen Hospital. - Bana Kenya News, Real African Network Tubanane. Home News David Mwiraria, Ex-Finance Minister Dies at 79 after a long cancer battle at a Karen Hospital. David Mwiraria, Ex-Finance Minister Dies at 79 after a long cancer battle at a Karen Hospital. Former finance minister David Mwiraria died at Karen Hospital today after a long battle with Cancer. The former minister had been diagnosed with cancer since 2015 and was always treated.He went to London, then South Africa and later today died at Karen Hospital. He was among the closest friends of the former president Mwai Kibaki and the former prime Minister Raila Odinga. He was born on September 3, 1938, and he was among who fought for Kenya multipartyism. He was also the Minister for Environment and Natural Resources previously Finance Minister of Kenya until December 2007 when Kenya held its General Elections. He was one of the Former President Kibaki top benches. He was also allegedly to be part of the anglo-leasing scandal. The scandal which also involved the ANC leader Musalia Mudavadi. The family is yet to give out an official statement.